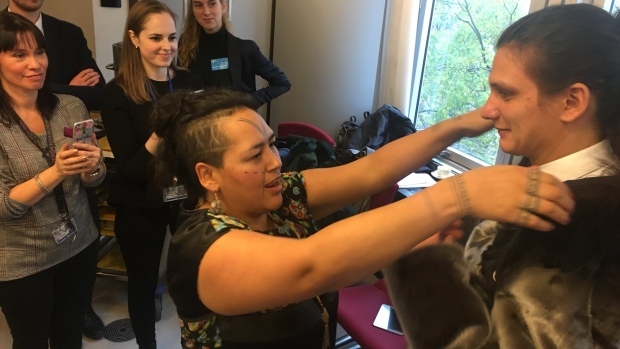 On Wednesday in Brussels, Belgium, representatives from Greenland presented the European Parliament with the idea of a QR barcode to help consumers identify legal seal skin products. Northern sealing advocates from the N.W.T. and Nunavut were there to support the new initiative. “It’s a barcode that you can easily scan that directs the consumer to a website in the EU that tells them that these products are exempted from the EU seal ban and they’re legal for entering into the EU,” explains Francois Rossouw, a fur marketer with the N.W.T. government who traveled to Brussels for the meeting. Rossouw says people were supportive of the barcode.